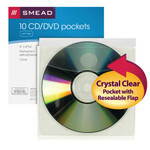 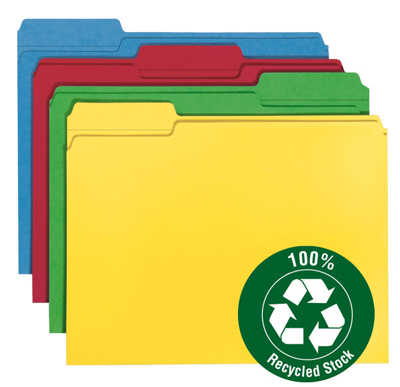 These 100% recycled top tab file folders are economical and an eco-friendly way to organize files. 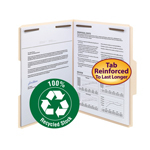 Reinforced tabs extend product life and help lower your replacement costs. 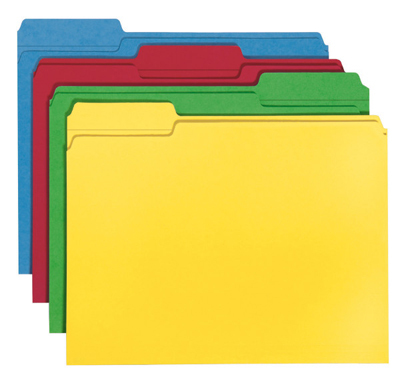 Use colors to categorize different types of folders, which speeds filing and retrieval time. 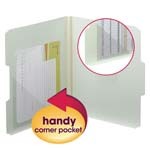 Multiple tab positions to fit any vertical or lateral filing system.